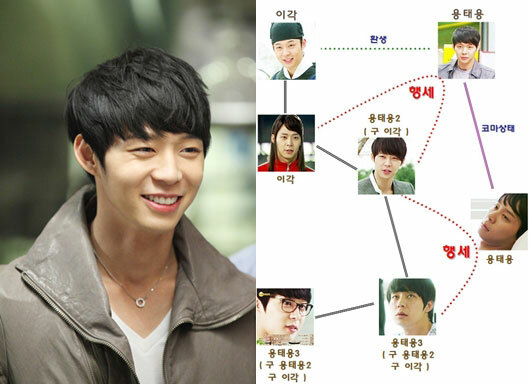 In “Rooftop Prince“, Micky Yoochun is playing 7 roles naturally, winning the praises from officials and viewers. 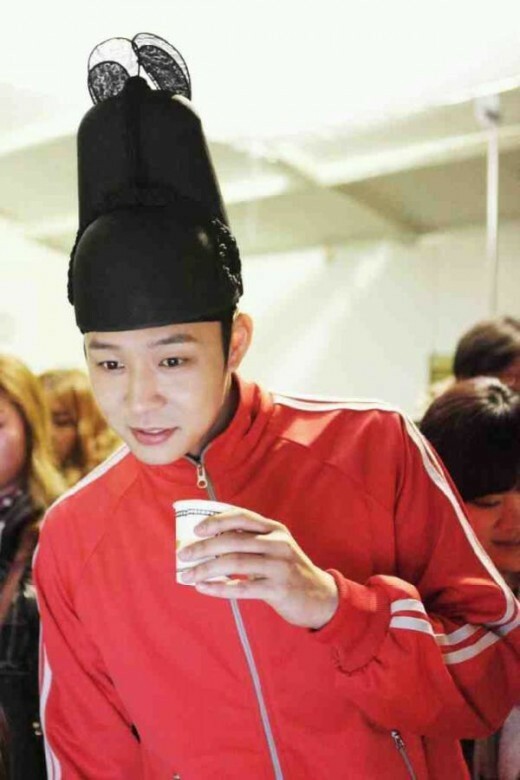 In the episode 15 of “Rooftop Prince” aired on May 9th, 2012, in order to reveal the true color of Lee Gak (Park Yoochun) who is impersonating Yong Tae Yong, Yong Tae Mu (Lee Tae Sung) brings back Yong Tae Yong, creating crisis for Lee Gak. Lee Gak won the support of President Jang (Na Young Hee) and was appointed as representative director, the furious Tae Mu decided to reveal the real Yong Tae Yong, and thus brought back Yong Tae Yong who is unconsciousness from United States. After learning that news, Lee Gak and the trio take away Yong Tae Yong, and Lee Gak immediately disguised as Tae Yong who is lying on bed unconsciously. After broadcast, the officials and viewers are critically claimed of Park Yoochun who portrayed 7 roles by himself with natural and delicate change of emotions. The roles are not only crown prince Lee Gak and real Yong Tae Yong, but also include Lee Gak who disguised as Yong Tae Yong, Lee Gak who is serious as a crown prince, Lee Gak who is passionate in front of woman, Lee Gak who is funny when together with his entourage, and more. On the other hand, Tae Mu who is broadcasting the image of Tae Yong on the scene and advocates the removal of the current representative director, is feeling extreme tension after Tae Yong suddenly called his name at his back. “Rooftop Prince” is broadcast every Wednesday and Thursday at 9:55pm.